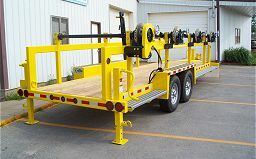 "Building quality trailers for over 40 years"
All Trailers come with the following options. Custom Built to your specifications tell us what you want - we build it. 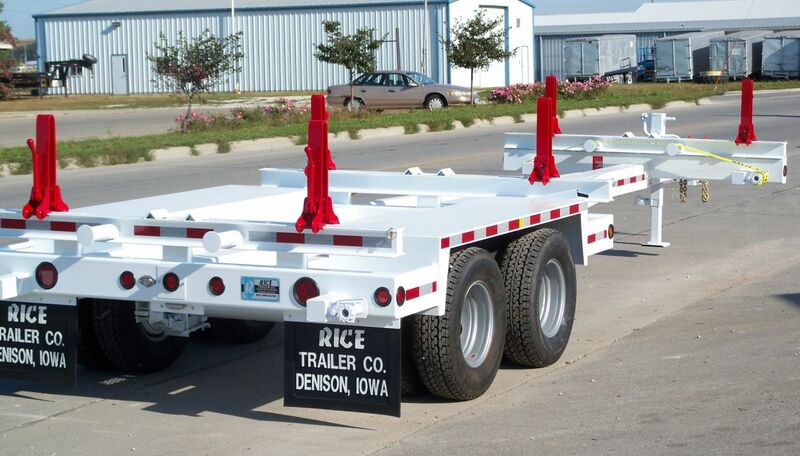 Combination Trailers range from 7,000 to 30,000 G.V.W.R.. Options include fold Down sides, boxes to your specifications, removable racks and extendable Tongue for Poles. 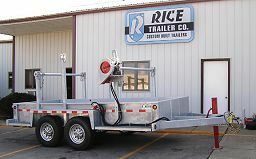 Cable Reel Trailers offer 1 to 4 reels. Options include cable tensioners with rewind capabilities, self loading reel trailers up to 10' diameter reels with rewind and tensioners. 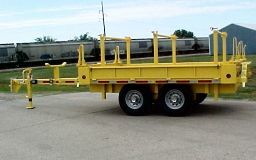 Flatbed Trailers range from 14,000# to 30,000# G.V.W.R.. Options include tilt beds, several beaver tail ramp options, Pintle Hitch or Goose Neck, Electric, Hydraulic or Air Brakes, custom bed size. 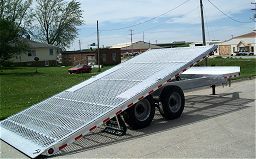 Material Trailer range from 14,000# to 20,000# G.V.W.R.. Options include Fold down sides and Bed size to your specifications up to 102" W by 18'.